To me, and this is just my opinion, you’re entitled to feel completely different, while there are many fine bottled beers, a fair number of which I enjoy greatly, not one beats a good pint of cask ale caught at the peak of condition. The flavour, the texture, they’re all unsurpassable, and unachievable any other way. Of all the pinnacle moments I can remember in decades of beer drinking, those times when you think: “What I am drinking here is just superb”, only one of many has involved a bottled beer, and that was from the Fuller’s Vintage Ale range, which is, of course, bottle conditioned: about as close to a cask ale in a small container as you’ll get. Now, you’re going to say: “But you’re dismissing whole traditions and styles of beer there,” and yes, I am. Condemn me as a cask ale chauvinist if you want: it’s only my personal take on beer. But I know what I like. Bluntly, in my experience – and I’ve drunk across five continents and as many decades – nothing is capable of beating the best cask ale. That won’t stop me drinking other types of beer, any more than loving live music stops me listening to the recorded sort: many bottled beers are almost as good as cask beer. Many recordings are almost as good as being there live. Ultimately, however, the best cask ale shoves any other sort of beer off the stage and out the door. Previous PostNote to self: it’s only beer history, must stop getting so upset by other people’s errorsNext PostSo what WAS the first purpose-built lager brewery in the UK? I was being kind to other methods. I might change that. Another thumbs up from me. There are some great bottled beers out there but all my magical beer moments have been when drinking cask. 4. big format Belgian with a half inch of yeast = live music in a club with a great menu. 5. cask real ale = live music at a festival on a gorgeous summer Saturday with BBQ smoke gently wafting from over there. 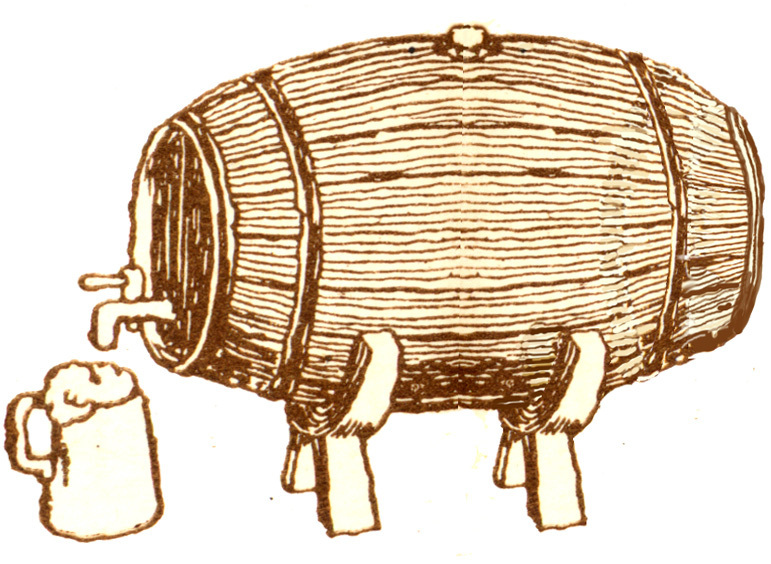 6. cask from the wood = drinking with elves who play the banjo well as dripping unicorns rotate on a spit over pear wood coals. 7. drinking with tickers = shortwave radio club meeting on a dreary February Tuesday night after cheese whiz on white bread. Cask can scale the heights, but by and large it doesn’t, even if it’s still by far the best thing to drink on draught in the pub. And, from time to time, it will plumb the depths too. So you have to decide whether you want a roller-coaster ride or a nice trundle along the flat. I agree with that Curmudgeon! However, this was a very interesting post that I really enjoyed reading, and in particular the music-beer comparison! To enjoy any kind of beer at its best, you also need to spend roughly 10% of the cost of your pub on top-quality beer line. I largely agree, but I think it’s more down to the moment, not the dispense. A cask ale caught at the perfect time is intrinsically linked to the moment you are in. If you feel a bit off, if the weather’s a bit crap, if you had a bad day, then these can all change the enjoyment – I’d be willing to bet that the more memorable moments you’ve had can be remembered by where you were, who you were with, etc, rather than merely the taste. Bottles can work in a similar way and a bottle can be absolutely perfect in the right moment. I do like the analogy though and it works well, but there are times when listening to a CD can be perfection, when you can be alone, listening to the music, forgetting everything and everyone else. I’d be willing to bet that the more memorable moments you’ve had can be remembered by where you were, who you were with, etc, rather than merely the taste. No, you’d lose: the occasions were all pretty mundane, made extraordinary by the beer on those occasions being sublime. Well, Yo-Yo Ma playing the Bach cello suites would be the one CD I’d stagger ashore with after the shipwreck on the desert island, but fantastically moving though his performance is, it would still be vastly better live. Courage Russian Stout, Courage Russian Stout and Harvey’s Imperial Stout. I though Okocim porter was amazing when I first drank it, and CRS was, and Harvey’s Imperial Stout is, very special:s till don’t exceed the best cask beer experiences on my personal seismometer, though. I wonder if there are variations by style. For most styles I’d agree with Martyn, but I’ve had one or two bottled stouts which were just incomparable (Marble’s original Decadence to name one). I can’t recall tasting a cask beer that did not show signs of oxidation – some more so than others. Well handled bottled or kegged beer is my preference, although drinking straight from the bright beer tank can be sublime. Good comparison, Martyn. Personally live music and drinking tend to go hand in hand anyway. The Wadworth 6X bar at the Cropredy Festival means it’s always a great weekend. Guinness always reminds me of Ry Cooder – probably because of the amount of the stuff I drank at Cambridge in 1979 when he headlined. That was hell of a weekend. However, I can’t imagine The Albert Hall offering a decent bottled or cask beer. I guess Jackson Browne & David Lindley may be a slightly more sober gig than usual.